If you’re not familiar with this particular competition, here’s the quick 30 seconds on it: It’s in Columbia, SC outside in the middle of summer (aka hot). It’s 4 events spread over the course of 1 day. Including a 1.25 mile run with a 50lb sandbag, a kettlebell, burpee, GHD mashup, a ground to overhead AMRAP, and a sled push/pull combo. 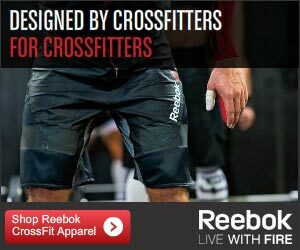 (If you were confused by any of the terminology I just threw out, check out my post on CrossFit Terminology). Progenex Force – 10-15 minutes before each event, I’ll down one a Progenex Force pre-workout drink to get the pre-workout juices flowing so I can head into the event ready to crush it. Progenex Recovery – Post workout I’ll be hitting the Progenex Recovery protein powder to help my body get ready for the next event. If you don’t use Progrenex as your post workout, I’d highly recommend it. Wrist Wraps – For anything overhead I love using these wrist wraps. I feel they make me a little more stable and with a 6 minute AMRAP of Ground to Overhead, bringing these along is a no-brainer. Speed Rope – I love my RPM Speed Rope…it’s the BEST rope I have ever used, however you shouldn’t use it on concrete and I don’t know what the situtation will be like, so I’m opting for a regular SR-1 Rope, since it’s a little more sturdy with rougher flooring. Paleo MRE – I could have labeled this food, but I’m only taking the Paleo MRE’s as I’ll be doing light eating during the day (probably will take 2) and then have a meal with the dinner provided by the event. I’ll also be taking bananas which I love for post recovery snacks and some home-made jerky. The key here is to eat what you’re used to, don’t try and do anything new because you want to look all cool. Go with what your body knows. Shaker Bottles (x2) – I’m keeping it simple and taking one for the pre-workout and one for the post. That way I don’t have to remember to wash it out in between and I can just mix and go. Shoes (x2 and socks) – I’m taking 2 pairs of shoes, for the run I’ll be wearing a minimal pair of running shoes and for the other workouts, my trusty Reebok Nano 2.0s. (Need help choosing shoes? I’ve got an article on that here). I’ll also be taking a couple of pairs of socks to change throughout the day. Shorts (x2 workout and compression) – I’m going to be sweaty. That means my compression shorts and my workout shorts are going to get wet and swampy. Having a quick change between events can be a big comfort improvement. Shirts (x2) – Let’s face it I’m a guy. I won’t be wearing a shirt. However I will need one to wear down there to rep my local box and I’ll also want to wear one on the 1.25 mile run with the sandbag as that will probably be rough on my shoulders if I’m not wearing one. The point is, bring more than one so you’ll have a dry one to wear for an event if you need/want it. Post Event/Travel Clothes – The competition has an after party so I’ll want to be in clean, dry clothes for that or if your event doesn’t you’ll at least want to be in dry clothes to head home. Towel – I’m going to be sweaty and stinky. If they have a shower, I’ll use it. Worst case, I’ll use the towel to dry off all my sweat. Athletic Tape (and scissors) – In case you like to tape up your hands or use something like Rock Tape, make sure you bring it and bring what you need to use it. Hand Care – nail files or something more fancy like a RIPT Hand Care System, whatever works for you, but make sure you have something ripping during a competition would be no fun at all. Toiletries – sunscreen, deodorant, soap, etc… It’s going to be hot and I’m going to be shirtless, so i’ll want some sunscreen. Also I’ll want to be able to clean up after the competition, so some deodorant and soap will be nice. Jug of Water – Now I’m 100% sure this place will have water, but I’m going to be mixing alot and the water line may get long and I’m not sure how much time I’m going to have. Don’t assume that 8-12oz of water will be readily available. They may just have small little cups. So this is more of a backup plan. Camera (still & video) – My (smokin’ hot) wife will have these in the stands and hopefully I’ll be able to use it to share it with you here on EveryLastRep.com. This event will have professional photographers on site, but not all do, so make sure you have someone take pictures of you so you can remember the occasion. Cash – This one seems a little odd, but there will be vendors at the event and some of them may not take credit cards. Better safe than sorry. Backpack/Gym bag – Well you have to put all this other stuff in something don’t you? 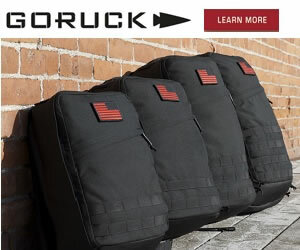 I prefer a tactical backpack myself. Please note that I recommend using Rogue Fitness for all these products, which is why i linked most of them to their site. Several of them will ship for free if you buy 3 items from their site, and even those that don’t the shipping is very reasonable Plus you’re getting a quality product and great customer service. I’m going to take what I have listed above with me on the 10th and I’ll report back with what I learned. Too much? too little? Forgot something? Time will tell. I tend to try and “overpack” because I try to think of all the contingencies and “what-ifs” and in my mind it’s always better to be prepared. Just like the boy scouts. One last note is that I tailored this list specifically for my competition, so you may want to throw in a weight lifting belt, or shin socks if there are heavy lifts or deadlifts. Modify the list as needed, this isn’t designed to be a “full” list but merely a good jumping off point. Do you have any experience with fitness competitions? If so, leave your packing list in the comments below! Derek, good deal. How’d the competition go? It went well. Ive been doing CF for about 4 months so I did the novice category and exceeded my expectations. I tied for 14th out of 17 but was really happy with my performances and had a lot of fun. That’s all that matters. You had fun, did well, and didn’t get hurt. And chances are you learned alot about yourself and how you compete. Good job!